Hot holding is big business nowadays, with cooking equipment manufacturers lining up to roll out their latest developments to keep food at serving temperatures. FEJ reports. Bring up the topic of hot holding with a chef that has been in the industry for any decent amount of time and there is a high probability that they will share tales of dried food that looks well past its best before it’s even landed on a plate. 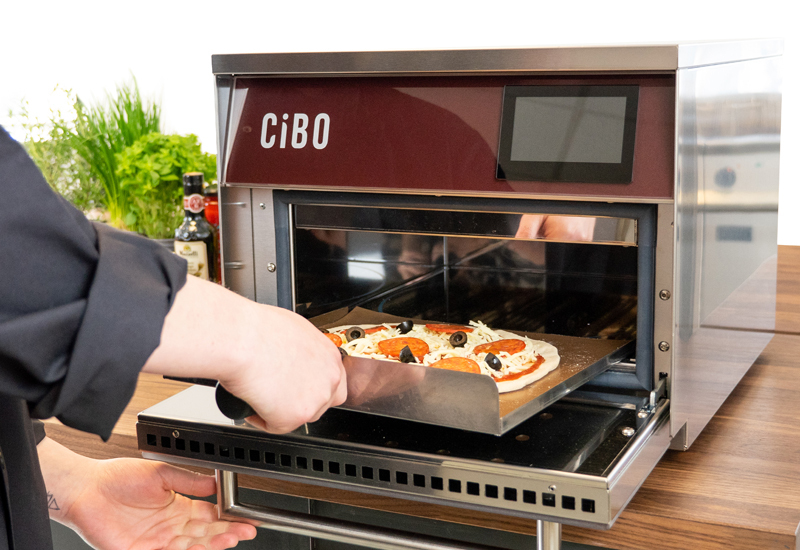 But while the hot holding market has had to contend with its fair share of perception issues over the years, there is no doubt that things have gone full circle when you look at the cutting-edge technology now available to kitchen operators. Many brands have got the bit between their teeth and ploughed resources into researching and producing systems that maintain food moistness as well as heat. One of the most recent developments in this market involves Unox, with its unique Evereo ‘hot refrigerator’, which is designed to preserve dishes at serving temperature for days or even weeks. UK managing director, Gary Nunn, explains: “The Evereo is the only piece of equipment that utilises Exever Service Temperature Food Preserving patented technology to preserve food safely by using extremely accurate temperature and atmosphere control combined with the most modern technologies in insulation to avoid heat loss. The Italian manufacturer says that this means food can be cooked and held without the traditional blast chilling, cold storage and regeneration process — and served in a few seconds at any time of the day. “The benefits are extraordinary: zero regeneration, reduced service time, operational savings, labour savings, enhanced food, constant controlled temperature and maximum food safety,” insists Nunn. Hot holding technology has been around for many years, however innovation in humidity and precision temperature control has seen the technology develop across a host of different markets and industry sectors. Jestic Foodservice Equipment represents two of the industry’s leading hot holding equipment brands, Winston Industries and Henny Penny. Both offer a range of equipment that works to maintain extremely precise temperature and humidity conditions in order to preserve the quality of the food items held within. 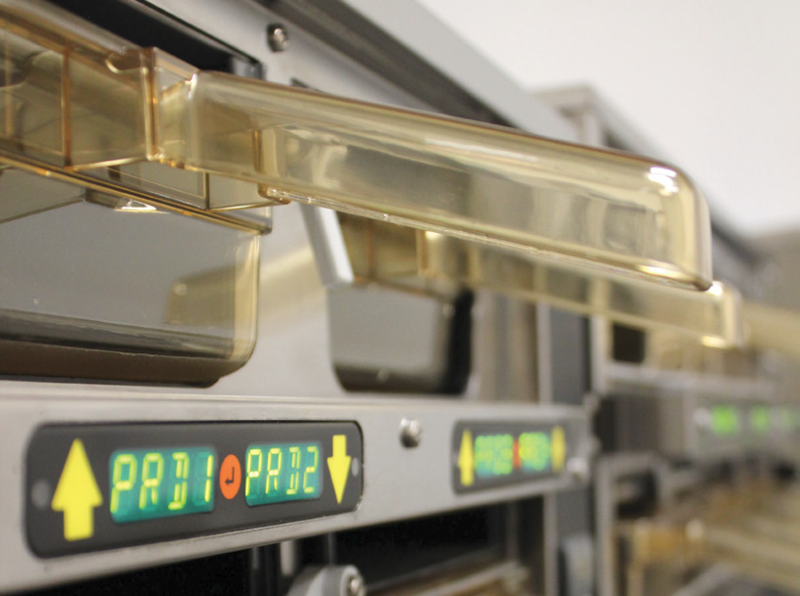 National sales manager, Richard Norman, says that Henny Penny’s Smarthold hot holding cabinets deliver precision conditions for holding fried chicken and similar menu items, allowing operators to maintain a humidity level of between 10% and 90% depending on the requirement of the food being held. Winston CVap’s equipment is ideal for holding multiple foods at once in precise temperature and humidity conditions. For FEM, Alto-Shaam’s Halo Heat system represents the pinnacle of hot holding. The appliance supplies a gentle heat that surrounds the food, with the aim of providing uniformity throughout the cabinet. It evenly cook and holds the food without drying out or burning, reducing shrinkage by up to 18%. The electronic thermostat allows for a wide temperature range, adjustable from 16°C to 93°C, according to the company. 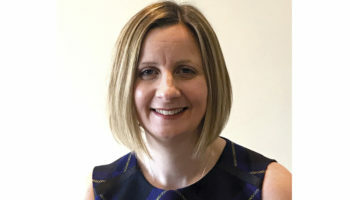 Looking ahead at technologies which will shape the sector going forward, FEM’s commercial director, Mark Hogan, is hedging his bets on cook and hold ovens holding sway. 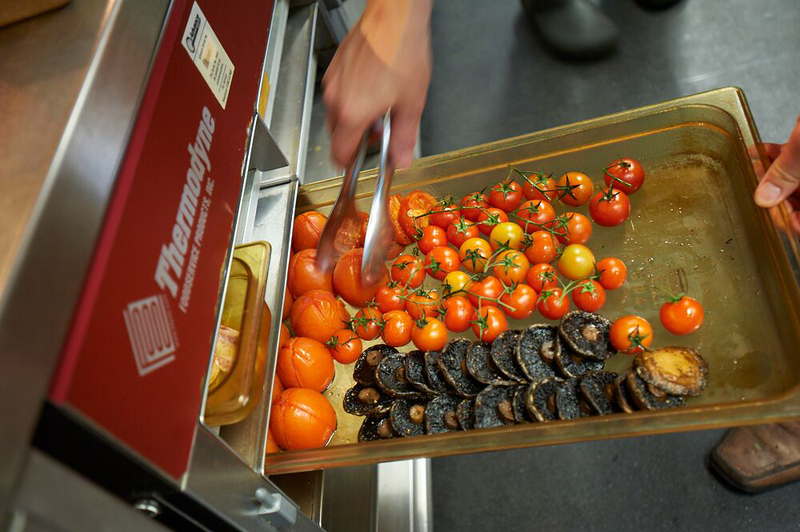 “Cook and hold ovens enable catering staff to smooth out peaks and troughs in demand, by allowing food to be cooked in advance and held at the perfect temperature for serving,” he argues. Moffat Catering Equipment is also aiming to innovate in this area. Its latest addition is the Chillogen hospital foodservice trolley. It acts as both a refrigerator, holding chilled food, and a regen oven, heating the food up, as well as holding the food until it’s required. 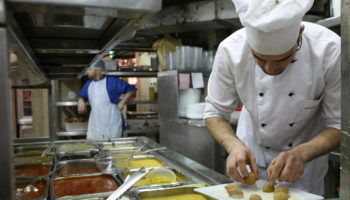 The company says it cuts down handling and simplifies HACCP compliance for operators. “In trials it is consistently producing food which is fresh, hot, safe and nutritious. It’s also helping to reduce food wastage,” says sales and marketing manager Donald Reid. 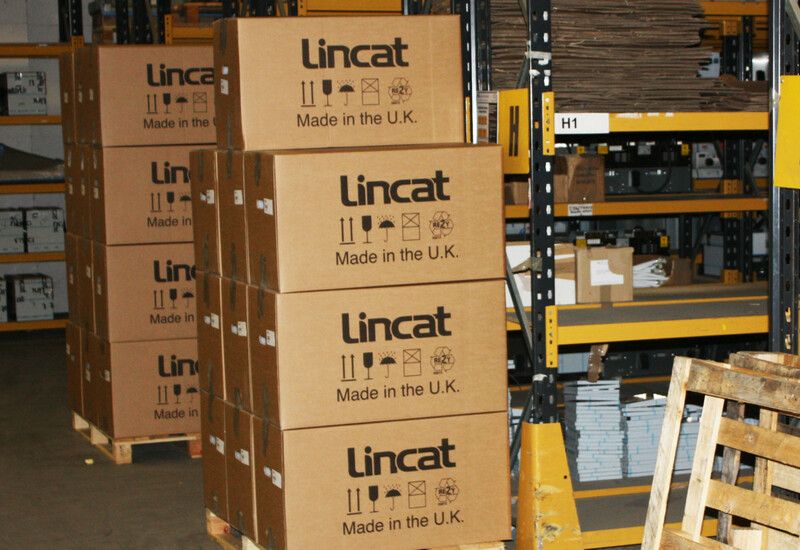 “The trolley is easy to operate, using the coloured touchscreen controller, allowing catering staff to focus on the meal delivery process in the most effective manner.”Catering equipment manufacturer Lincat believes that the work being done to make existing hot holding equipment more effective and energy efficient is just as important as introducing new technologies. The most recent addition to its Panther range is the multi-functional SuperPass series of hot cupboards. “The description of ‘hot cupboard’ doesn’t really do it justice, since each unit is equipped with two bain maries, two water tanks for boiling vegetables or pasta, and a Carter Hoffman Crisp ‘n’ Hold, for keeping fried food in perfect condition prior to service. “We developed them originally for one of our national account customers in the brewery sector that needed a multifunctional solution for their busiest pubs. They wanted a unit which could cook a variety of items, before holding them in perfect condition, at the correct temperature, prior to service,” he explains. One supplier which has recently entered the market is Kitchen & Restaurant Projects, the brainchild of ex-Lincat sales and marketing director, Rob Gibson. 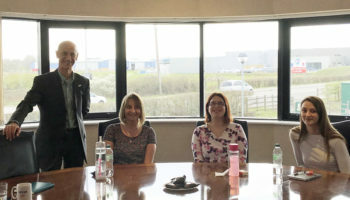 At the beginning of this year, his business partnered with Advance Group to help market the Thermodyne cook and hot holding cabinets to UK distributors. “At my first Thermodyne demonstration we set the holding temperature at 74°C — it never moved. We probed the food for over two hours and it remained exactly the same. The patented fluid shelf technology, where the heated glycol constantly flows through the shelves and back into a heat exchanger, achieves the precision holding temperature. I have yet to come across an appliance with such accuracy,” he insists. As Thermodyne uses conduction heat rather than convection heat, the heating process should be gentler and kinder, and create a greater yield saving than convection heat. The unit runs from a three-pin plug and requires no extraction. Gibson says plans are afoot to launch a unit that can act as a refrigerator as well as deliver cooking and holding functionality. 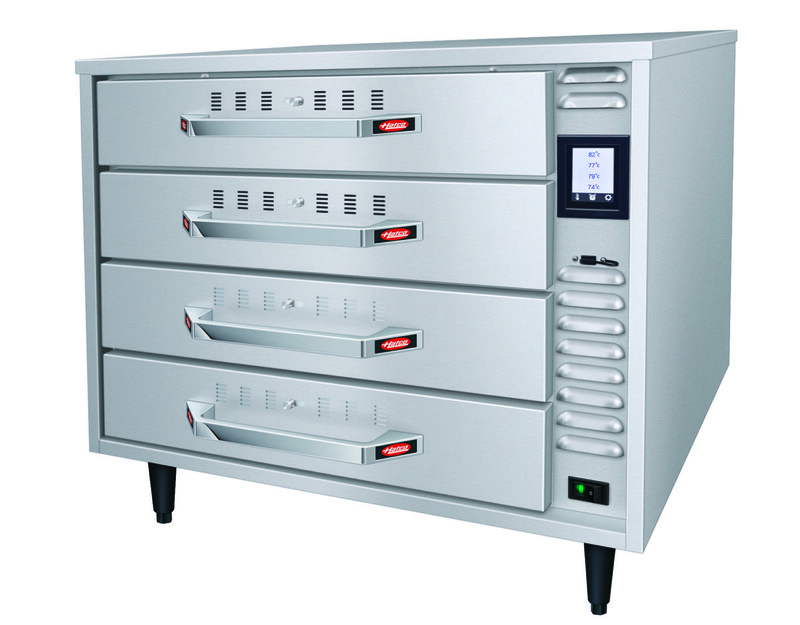 Other new products heading to market include the Hatco HDW-2R2 split drawers from Gamble Foodservice Solutions. It has four shallow drawers offering a 1/1 65mm deep capacity per compartment. Every drawer can have a different temperature and a timer can be set for each one via a touchscreen. The vents to the front allow control of the individual drawers’ humidity. Another addition is the PHTT hot holding cabinet from FWE. The unit features Clymate IQ intuitive climate control technology, allowing the relative humidity of the cabinet to be managed from 10% up to 90%, and the air temperature control from 32°C to 93°C. The unit has self-closing doors and is available in six models, from counter top to double stack. It is clear that the battle for hot holding equipment market share will require manufacturers to come up with even more precise controls that deliver highly accurate temperature and humidity settings. “The aim would be to deliver even better food that can be held for even longer until required,” concludes Jestic’s Norman. The largest supplier of holding cabinets to chains such as Burger King, KFC and Subway has appointed a dedicated business partner for the UK market as part of a move that marks a shift in local distribution strategy. Duke Manufacturing, whose vertical and horizontal hot holding units can be programmed to specific temperatures and are well-used in the QSR market, has inked a deal with Bradford-based Victor Manufacturing that will give it more support on the ground. The tie-up commenced at the start of the month, with Victor handed responsibility for Duke’s portfolio of hot holding platforms in the UK, which will involve providing product pricing and overseeing availability, trial and loan units, order progressing and delivery. Technical and operational support will be provided by Duke Manufacturing to Victor and its equipment distributors and end-user customers. Duke said it expects the partnership to lead to enhanced product availability, competitive pricing, a high level of customer service and local support. Warranty support for Duke’s products will continue to be provided by Network Catering Engineers. Duke is one of the most recognised and historic foodservice equipment names in North America, but unlike compatriots such as Middleby Corporation and Welbilt it has never established the sort of sales, marketing and distribution infrastructure that those businesses have in the UK, predominantly because the vast majority of its activity has been linked to fulfilling the global relationships it enjoys with Burger King, KFC and Subway.